Find out how to get your business rolling by benefitting from Flanders’ unique bicycle industry — join the ride. 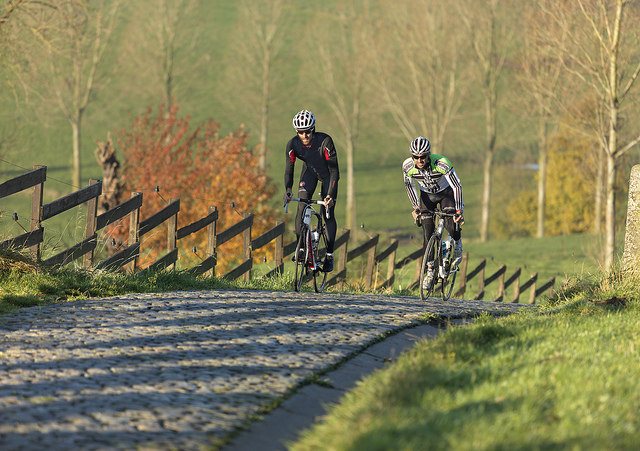 Its breathtaking scenery, mythical climbs and challenging cobblestones make Flanders a beloved region for many cyclists — not to mention its long history in cycling, world-famous Tour of Flanders, and cycling legends like Eddy Merckx. The numbers tell the tale as well: cyclists from Belgium and Flanders have won more UCI Road World Championship gold medals (25) than cyclists of any other nationality. In addition, ten local cyclists have won the Tour de France, making Belgium the country with the second most victories. In other words, the fact that Flanders has a thriving bicycle industry shouldn’t come as a surprise. Find out how your business can ride along with a legion of benefits. Flanders offers a unique business and knowledge ecosystem for the bicycle industry that is unparalleled in Europe. It includes go-to organizations such as Flanders’ Bike Valley and its BikeVille incubator. Flanders’ Bike Valley is a unique open innovation center for the cycling industry. Apart from dedicated research and technology, it is also the go-to organization for product development – thanks in particular to its one-of-a-kind wind tunnel for aerodynamic drag and turbulence measurements at the BikeVille incubator. Unique education programs and research at the Bakala Academy of the University of Leuven. Talent Academy, created by Flanders’ Bike Valley, aims at spotting, coaching and developing young talent for cycling capacities and jobs that require expertise in aerodynamics or specific skills for manufacturing techniques. … Belgium, and Flanders as a region, is ranked 8th in the top manufacturing countries of bicycle parts and accessories within Europe? … Belgium is the 3rd-largest EU market for e-bikes?